DRBHCOM forming lower high & lower low. Will it breakout strong resistance & form bullish reversal? Stochastic %K on SELL itinerary. 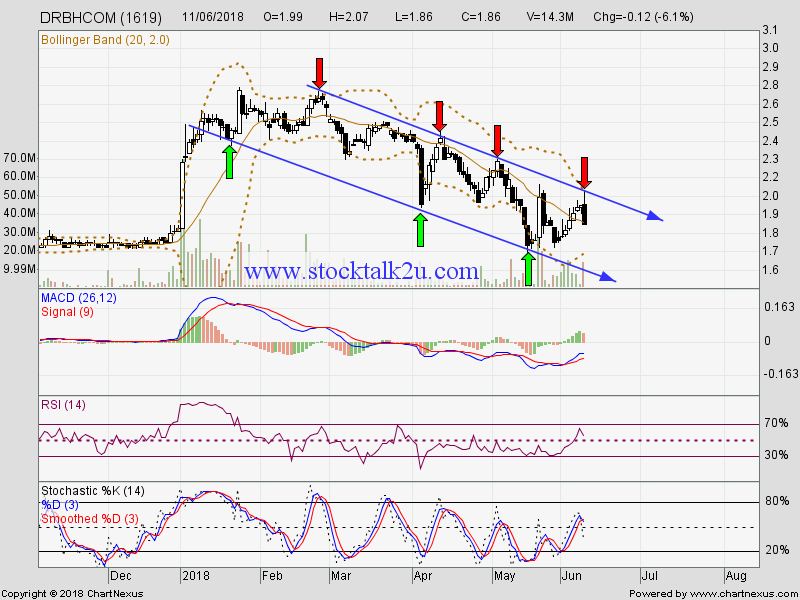 Immediate resistance @ RM2.12 level. 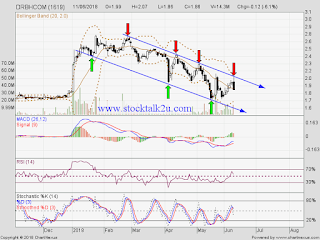 Immediate support @ RM1.86 level.